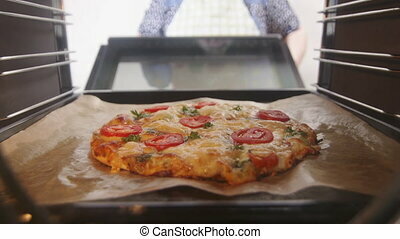 Crispy, hot, home-baking pizza in a dark kitchen in the evening dinner. 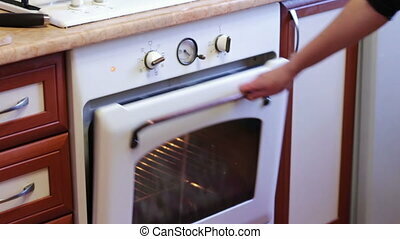 Woman cook preparing a pizza in the home kitchen and puts the finished pizza dough in the oven. 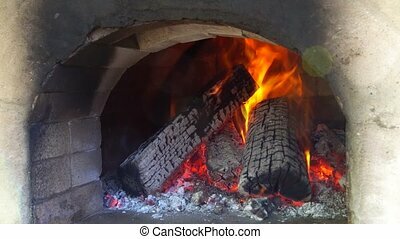 Baked traditional italian pizza calzone in the oven. Woman takes out cooked crispy crust pizza calzone on a baking sheet from the oven. 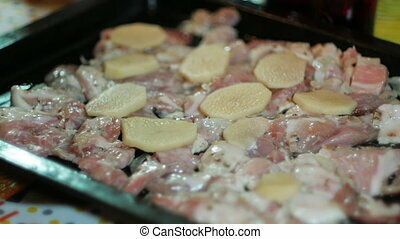 View from inside of the electric cooker. 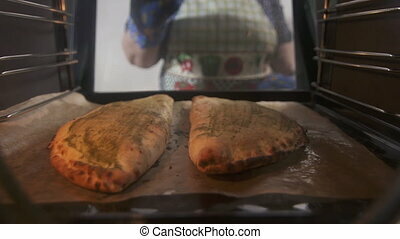 Baked traditional italian pizza calzone in the oven timelapse. 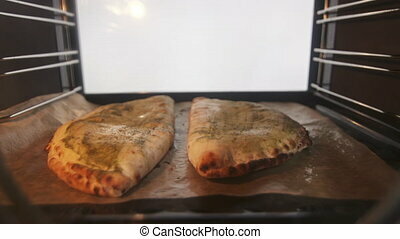 Frozen stuffed pizza calzone on a baking sheet cooking inside modern electric cooker. 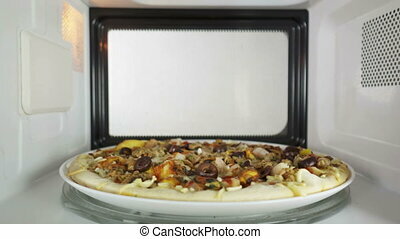 Man reheating baked seafood pizza in the microwave oven. 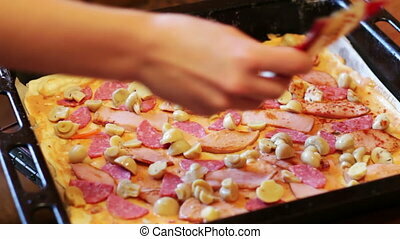 He opens the door of the oven and takes out a dish with hot pizza Frutti di Mare topped with mussels shrimp and olives. Toasty pizza topped with salami tomatoes mozzarella cheese in the oven. 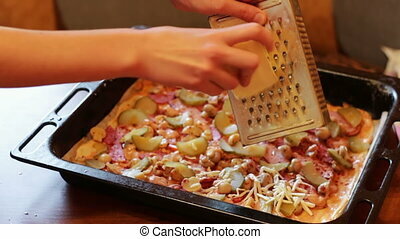 Woman takes out just cooked crispy crust pizza on a baking sheet from the oven. 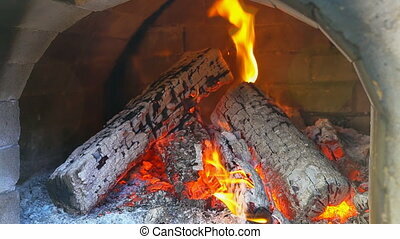 View from inside of the electric cooker. 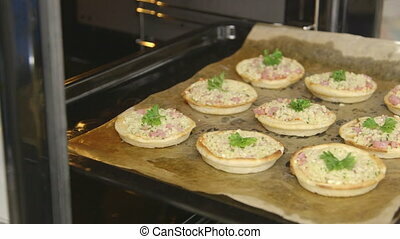 Cooking baked mini pizza with mozzarella cheese and ham in the oven. Chef puts frozen small pizzas on a baking sheet into the oven takes out baked crispy crust pizzas from the oven. Edited sequence. Woman cook preparing a pizza in the home kitchen. 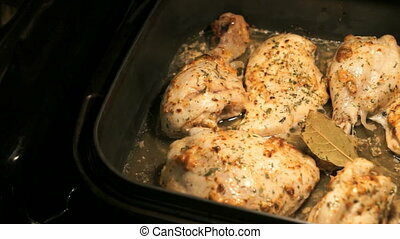 Using microwave for reheating food. 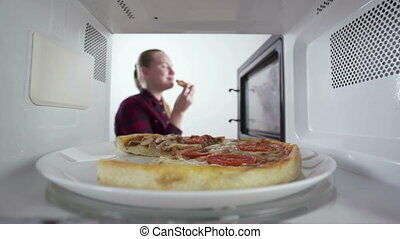 Baked pizza on a plate inside the microwave in the background girl eats slice of heated pizza.